But why do winemakers blend? “The art of blending, to me, is to take individual pieces and make the sum of what you’re blending better than those individual pieces you started out with,” says Mike Macmorran, winemaker, of Mark Ryan Winery. Once grapes are in the winery during harvest, winemakers immediately start evaluating what they have, tasting first each fermenter and then barrel, keeping notes, rating and ranking along the way. The point at which winemakers decide to start blending varies. “I actually feel like the earlier you can get the wines blended, the more complexity you’re going to have in a youthful wine,” says White. He prefers to blend some of his wines immediately after fermentation is complete, while others he blends six months after harvest. Others start much later. Macmorran typically blends wines 14 months after harvest. “It gives you more opportunity to taste the wines longer as an individual part,” he says. Once winemakers start blending, they pull samples from a selection of barrels, and out come the pipettes and graduated cylinders, with winemakers often making 100 milliliter sample blends. Many winemakers will start by making what is referred to as a ‘base blend,’ which will be the foundation of the wine. 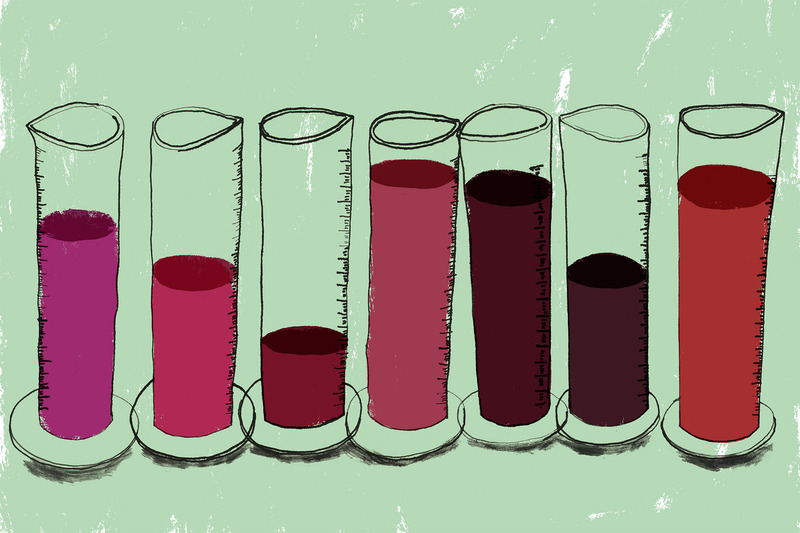 Often winemakers will start by blending in larger percentages and then move to smaller percentages, evaluating all along the way. As they get closer, they might look at tweaking just one or two percent of a wine. Some winemakers will take several hours to put a blend together. Others might take days, weeks, or even months, depending on the size of the winery, the winemaker’s approach and the vintage. In each case, winemakers go through an iterative process of evaluating different blends. It might be a handful of iterations or it might be many more, depending on the particular wine. 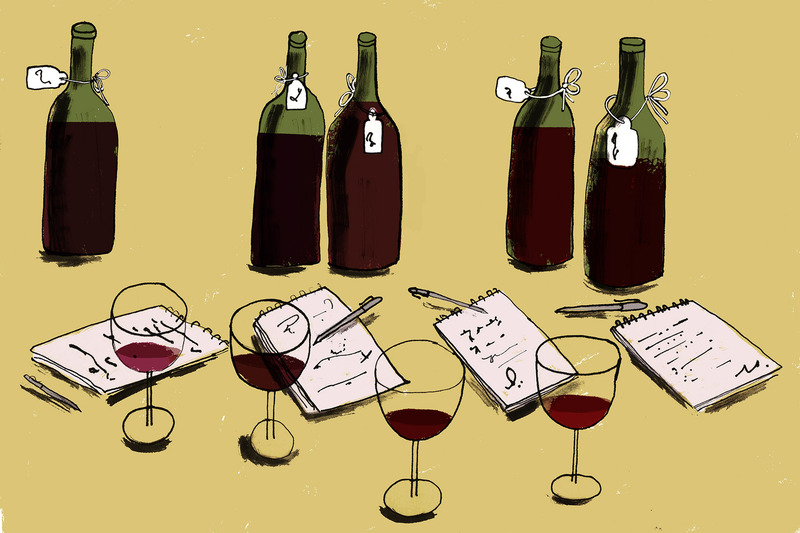 How does a winemaker know when they’re done making a blend? “As soon as you try to move any individual part and anything you do is not as good, there you are,” Peterson says. Once the final blend is decided upon, individual barrels are combined together into a blending tank and typically returned to barrel for additional aging and ultimately bottling. Here is a look at what some Washington State winemakers say their local varieties contribute to two common blends. “Cabernet Sauvignon tends to bring great intensity, great power and weight to the wine,” says Macmorran. “It’s a bigger, brooding, broad shouldered wine with more tannin intensity on the back end.” Black cherry, black currant and herb aromas and flavors are common. “I feel like Merlot is all about mid-palate,” says Brandon Moss, partner and co-winemaker, of Gramercy Cellars. “Those tannins hit you more in the mid-palate rather than right up front and at the tail end like Cabernet Sauvignon does.” Aromas and flavors can include raspberries, cherries and chocolate. “Petit Verdot is acid and tannin,” says Moss, who notes that it is often added in minute amounts to blends. “Syrah is such a chameleon,” says Macmorran. “It has a very broad spectrum of aromatic and flavor profiles where you really wouldn’t even think it’s the same grape.” Aromas and flavors can range from raspberry, blueberry and blackberry to smoked meat and olive.